SADDLE CREEK CABINS. 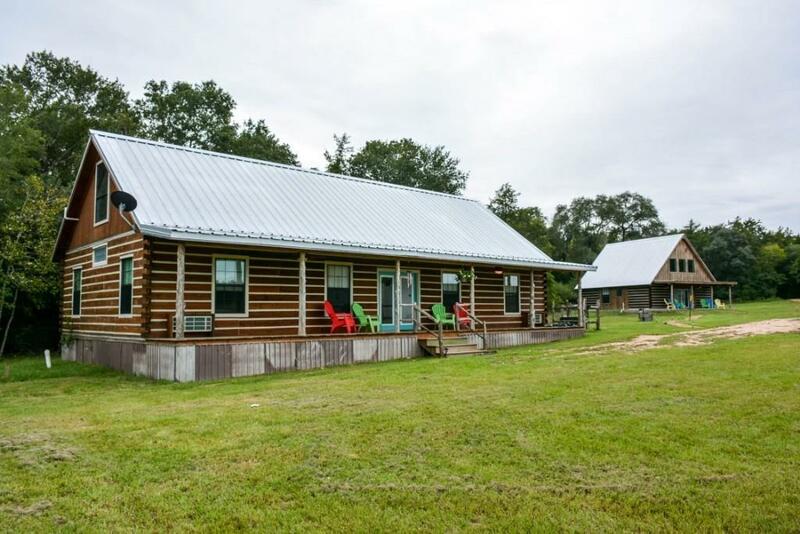 FURNISHED/TURNKEY!Winding, tree-covd driveway - prepare to be enchanted by adorable, rustic collection of cabins. 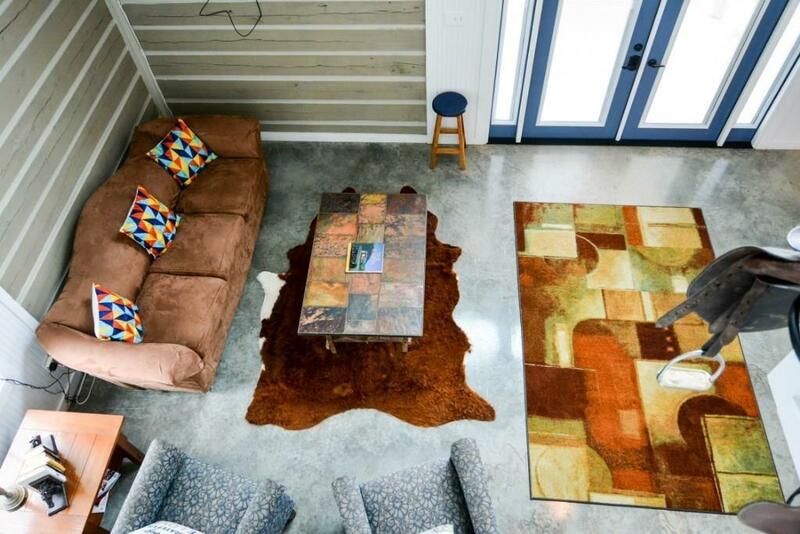 Largest cabin (2000SF+/-)can be full time home w/4 bed/2 baths plus a large, open liv/din/kitc set for entertaining. 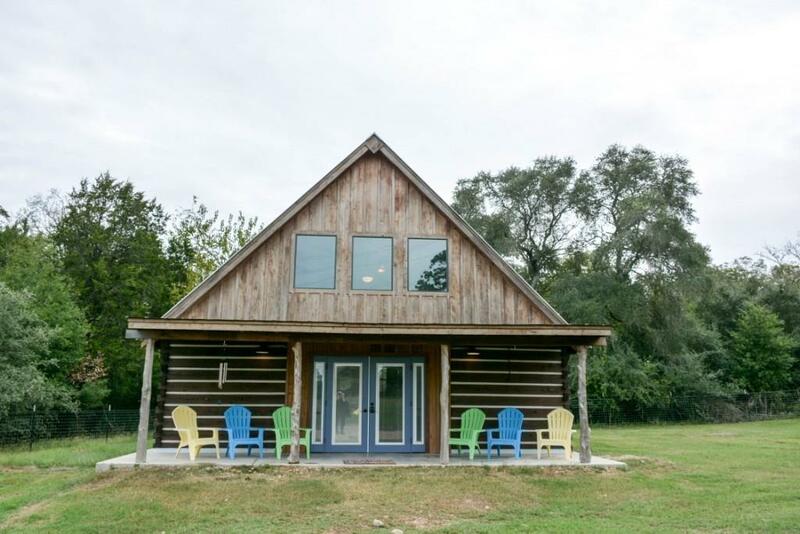 The second cabin (1200SF+/-) 3 bed (one up w/bath),2 bed/1bath dwn, w/open liv/din/kitchenette. 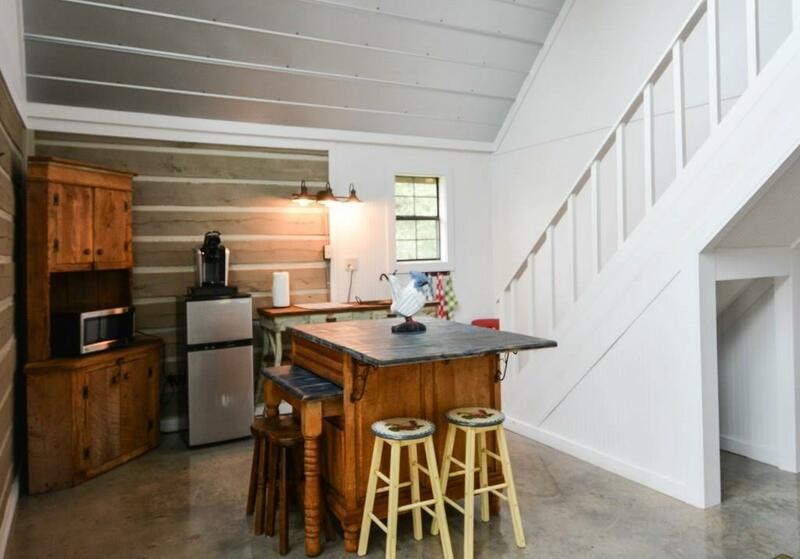 3rd studio/cabin (500SF+/-)w/1bed/1 bath,kitchenette. Each cabin w/cov porch and areas with comfortable seating and flat-screen cable TV. Two of the cabins have kitchenettes with apartment style fridge, microwave, blender, kettle and toasters. The cov common area w/BBQ, fire pit, picnic area. This private, approximately 14 ac property is being carved out of larger working farm to enjoy peaceful, bucolic setting with cows grazing and quiet nature. Located between Round Top, Brenham, Fayetteville. (Note: ideal for family retreats, small weddings & has been rented out as such.) TURNKEY/FURNISHED!